The cluster fly (Pollenia rudis) is a pest in homes, schools and commercial buildings throughout much of New York and surrounding states from late summer until spring. In hospitals it can constitute a hazard because it may carry organisms of infection upon it’s body. Flies may appear at lights and windows, their numbers and persistence are the cause of annoyance. The exact cost is based on the property in question so we do need to visit for an estimate. (it is not included in service contracts but can be provided at a substantial discount to contract customers). Cluster flies are not unlike common houseflies in general appearance. Some are smaller than houseflies but most are slightly larger. They are gray in color and wings may be almost completely overlapped when at rest. They can be identified more easily by their behavior than by their appearance. Heat produced by the sun on the roof or walls, or warmth resulting from the heating system of a building may cause them to abandon hibernation sites and become active. They are generally not attracted to food indoors, but aggressively attempt to escape by going to lights or windows. They will continue to cluster to escape until their energy sources are exhausted and may continue intermittently until April. They are large, noisy flies that blunder about lights and windows, colliding with objects and often dropping to the floor to lie on their backs and spin noisily until exhausted. These insects winter as adults. In spring, on warm days, those spending the winter in natural locations emerge from hibernation sites to breed and lay eggs on the soil surface of lawns and other areas where grass grows. Larvae hatch from the eggs and attack earthworms of a single species (Alioiobophora rosea) in the soil. After about one month of growth and development, pupae are formed near the surface of the soil. In a few days the adults emerge, breed and lay eggs to begin another generation. During the summer three to four generations are produced. Each adult female fly may lay several hundred eggs. Cluster flies emerging from the soil after about August 10 do not breed as earlier generations do, but rather seek sites for hibernation. In nature, flies hibernate beneath loose bark on trees and in other secluded places. Whenever suitable places are found in buildings the flies enter and accumulate in attics, between walls and in other void spaces. because of this behavior they have also been called attic flies and bunch flies. Flies emerging from the soil continue to enter hibernation sites until heavy frosts occur, sometimes as late as mid-November. Because cluster flies hibernate in inaccessible areas the use of insecticides inside a building is generally unsuccessful. 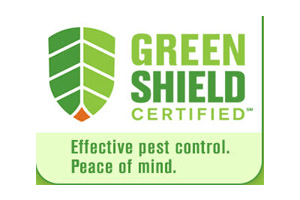 Control depends upon the application of an insecticide barrier to the outside of the building. The insecticide barrier must protect the effected side of the building, and it must persist for the full 12-week period during which the flies are likely to be entering the hibernation site. Attics and crawl spaces may be treated in a similar manner at the same time. Any dead flies that accumulate should be disposed of as they can be a food source for other insects.